Governor Bill Walker registered today as a candidate for next year’s election for governor. He’ll be joined again on an unaffiliated ticket by Lieutenant Governor Byron Mallott. Walker said being unaffiliated has helped him and Mallott work on issues without concern about party politics. It will allow them to avoid a primary battle before a general election that could include candidates from both major parties. Walker said they’ll point to their record, including expanding Medicaid coverage. Lt Governor Mallott said they recently met with Democratic Party officials to thank them for their support three years ago and to let them know they would be running as independents. Mallott said he will keep his Democratic party affiliation despite running for office unaffiliated. Mallott added that Walker has worked to close the budget gap, grow the economy and treat all Alaskans fairly. 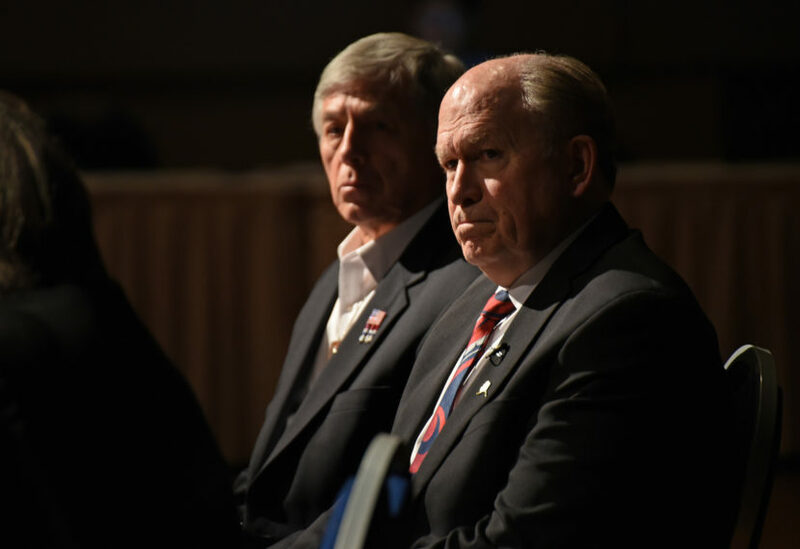 “I think Alaskans are going to look at what Governor Walker has accomplished in his first four years, and say he did good,” Mallott said. The Walker and Mallott campaigns must each gather roughly 3,200 signatures to be placed on the ballot.